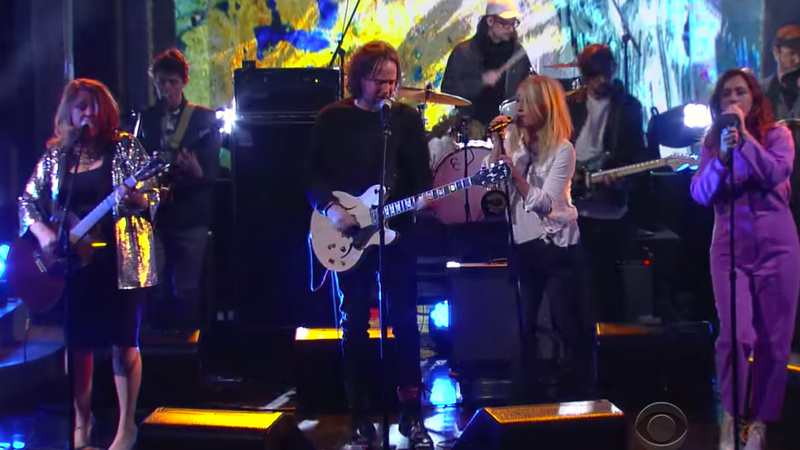 We haven't heard much from Broken Social Scene since the success of their 2010 release, Forgiveness Rock Record, but now they are back and better than ever. Last night, the alternative Canadian collective performed their first new song in seven years on The Late Show With Stephen Colbert and it was well worth the wait. “Halfway Home”, (from their yet-to-be named forthcoming album) is a triumphant track that tugs at your heartstrings and blasts nostalgic sounds. Earlier this month, the supergroup–frontman Kevin Drew and fellow collaborators like Feist, Stars members Amy Milan and Evan Cranley, and Metric members Emily Haines and James Shaw–announced a string of European tour dates. With their LP expected sometime this year, we’re hoping for an extensive world tour. Check out Broken Social Scene’s performance of “Halfway Home” below, and don’t forget to track them on Bandsintown so you never miss them in your city!